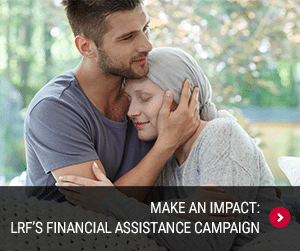 In the face of declining federal and institutional resources, the Lymphoma Research Foundation’s (LRF) commitment to supporting early career lymphoma researchers has become more critical than ever before. To explore this important topic, the Foundation convened a Biden Cancer Community Summit on September 21, 2018, inviting an expert panel to discuss the challenges faced by the lymphoma community and the ways in which the Lymphoma Research Foundation can support the next generation of lymphoma scientists. 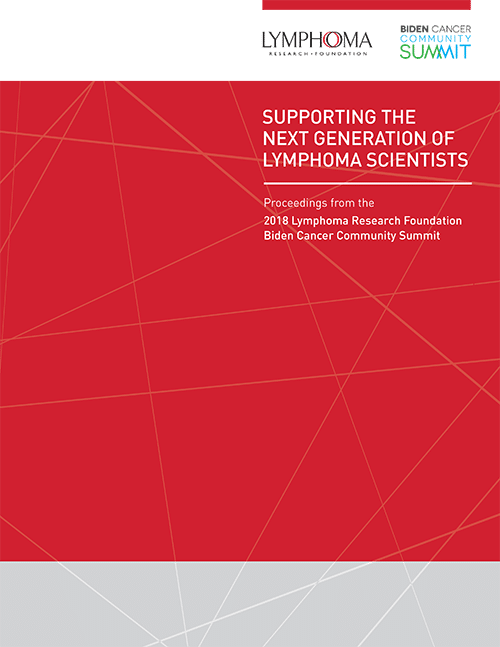 Today, the Foundation announced the release of a monograph highlighting the findings of the panel at the summit: Supporting the Next Generation of Lymphoma Scientists. Participants on the panel included 2018 Co-Chairs of the Lymphoma Clinical Research Mentoring Program (LCRMP), Andrew M. Evens, DO, of Rutgers Cancer Institute, and Sonali M. Smith, MD, of The University of Chicago, as well as Ari Melnick, MD, of Weill Cornell Medicine, who has sponsored a number of recipients of Postdoctoral Fellowship Grants from the Foundation. Current and former Foundation grantees were also represented, including Jonathon B. Cohen, MD, MS of Emory University; Lorena Fontan, PhD, Weill Cornell Medicine; Justine Kahn, MD of Columbia University; Shalin Kothari, MD, of Roswell Park Comprehensive Cancer Center; and Anita Kumar, MD, of Memorial Sloan Kettering Cancer Center. Chief among the recommendations highlighted in the paper is increased overall funding for an expansion of early career investigator programs, including broadening funding to include mid-career investigators. At current funding levels, only a small number of the highest quality applicants receive grants, meaning that individuals with the potential to make significant impact in the field of disease-specific research may fall away from the field due to insufficient support and direction. In addition, the high risk-high reward science which is the hallmark of translational research is almost never funded by corporations and most often pursued by early career scientists, proving difficult – if not impossible – to pursue mid-career or later. The development of programs that focus on creating a more public-facing role for researchers, facilitating access to biomedical grant opportunities, and increasing engagement of the public in the design of clinical trials are among the new concepts explored. The importance of mentorship and value of formal scientific mentoring programs, which encourage skill development, help solidify disease-specific project goals, and impact the direction of a scientist’s research for the rest of their career, are also highlighted in the monograph. To learn more about the findings of the panel at the summit please read LRF’s monograph, Supporting the Next Generation of Lymphoma Scientists.